Put spring in their spirit with 10 brilliant yellow and purple tulips in a sparkling glass vase decorated with a hand-painted plaid design. 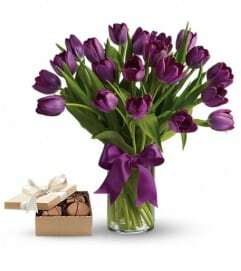 Simple, stylish, and a sheer delight – now and forever. 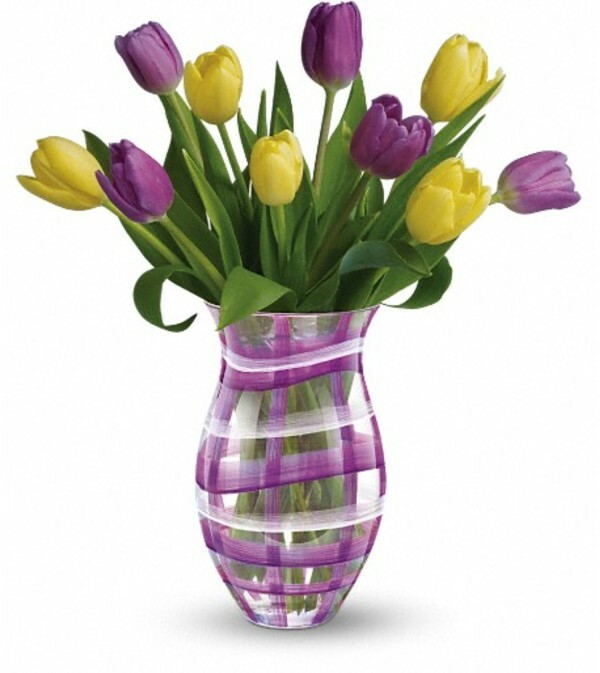 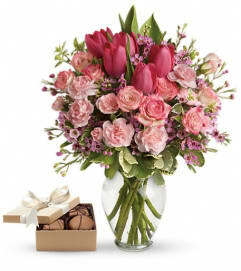 The enchanting bouquet includes five yellow tulips and five purple tulips, delivered in a sparkling glass vase decorated with a hand-painted plaid design.